The Crunch is an exciting year of activities, experiences and discussions about our food, our health and our planet. Through The Crunch, the Wellcome Trust wants to help people think about how our food, our health and our planet are all interconnected. By examining our relationships with food and exploring cutting edge research, we can think about how we can eat in ways that can keep our planet and ourselves healthy. Developed by the Wellcome Trust, The Crunch is an exciting year of free activities, experiences and discussions about our food, our health and the planet. The initiative soft-launched earlier in the year, but we were tasked with raising awareness among the general public. 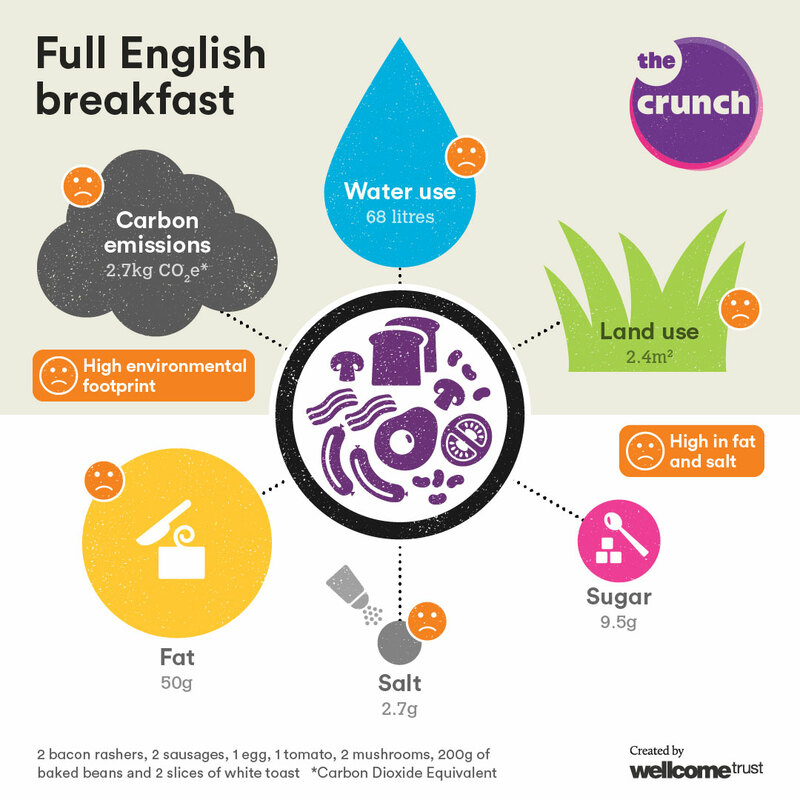 We decided to highlight the issue by focusing on the true cost of breakfast, working with the Carbon Trust to create the ‘foodprint’ of five of the most popular British breakfasts: a full English breakfast, jam on toast, porridge and honey, cornflakes and a bacon sandwich. Working with Thomasina Miers, co-founder of Wahaca (the first carbon-neutral restaurant chain in the UK) and a fantastic advocate for The Crunch, the team was able to generate a discussion through video and social content, and well as a traditional approach – plus she made us some delicious muffins (with added crickets) to share around. Starting with a radio day and ending with coverage across more than 60 media titles including The Mirror, The Star and The Sun, the campaign reached more than five million people across the UK. Social content also reached more than 320,000 people as this amazing project succeeded in creating a discussion about the sustainability of our breakfasts.